I am so happy to announce a new section in my Etsy shop. Forget-me-not Brooch Bouquets. If you follow me you know that I have designed a few bouquets that have not been for brides… back in March I designed one for a 25th anniversary, it was filled with colors that the recipient loved and 25 charms each representing an important memory. Then last month a friend was diagnosed with cancer… 50 friends and family were enlisted to send a brooch and an encouraging word, all were designed into a “Garden of Friends” Bouquet that Pam now takes with her to her treatments as a reminder that she is not going through this challenge alone. October is Breast Cancer Awareness month and as I write this I know of many who are fighting that battle. I feel compelled to offer encouragement in some way… While I love what I do, my true passion is to make people smile. 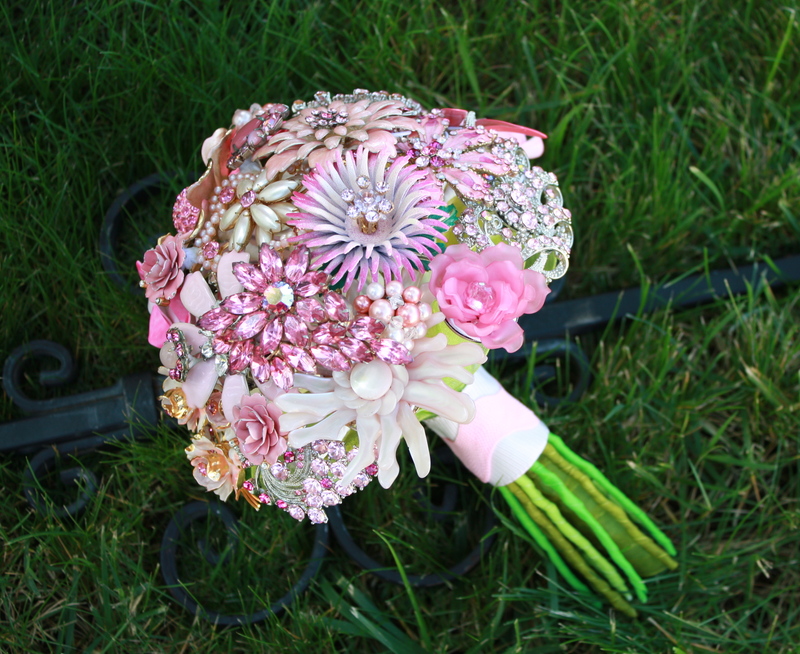 This beautiful Pink bouquet is now up on my Etsy shop. Please stop by. I would love to design a “Forget-me-not” bouquet for you or your loved one. Blessings.